Is your skin tone white and do you have lovely sparkling blue eyes? 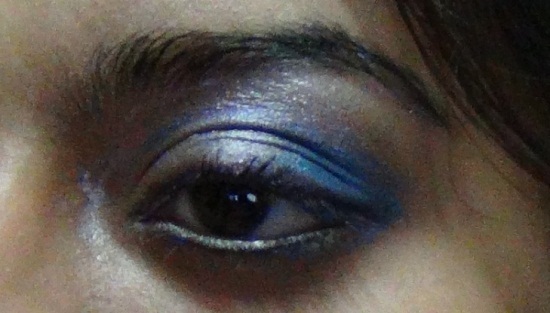 Then this makeup for fair skin and blue eyes tutorial will surely be a treat for you. But before we start here are two small tips. You must remember that Blue Eyes makeup looks go best with pastel shadow shades like mauve, purple, light blues. Colors like light brown and purples for liners go best but black is also in. Now let’s start with the look. Before starting with the eye makeup for blue eyes makes sure that your eyes are clean. Prime the lids first. Use concealer for dark circles and fine lines. Finish with foundation. 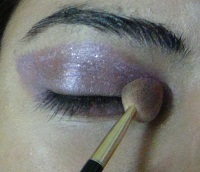 Apply purple eye shadow to the whole of the lid and the crease. Fade it towards the brow bone. Drag the same color to line even below the lower rim till the middle of the eye. Blend the grayish shade into the crease. Also blend over the tailed purple shadow for a dirty purple appearance. With the silver color put a dot at the nose and eye junction. Highlight the brow bone with the same. Do a brown or black moderately thick lining of the upper lash line. Also do a lining of the lower rim with a black pencil liner or dark brown pencil liner. You may use false lashes as per your choice. Do a heavy mascara coating for a dramatic appearance. Curl up the lashes with a lash curler. I’ve shown this shadowing effect on my eyes but this is sure to rock when done on blue eyes too! Our second Blue Eyes makeup look will be based on a blue coloured eye shadow look since blue shadows look great on blue eyes. This gives you a sort of wintry feeling! Start eye makeup for blue eyes on a clean lid. Prime, conceal fine lines and apply foundation to the eye area. 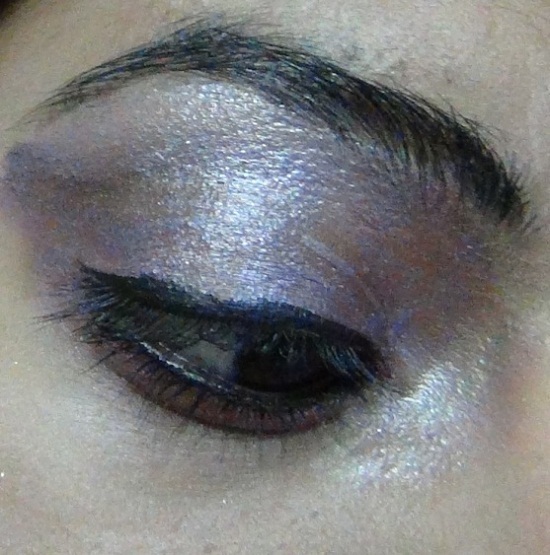 With purple eye shadow cover the whole of crease area. Fade towards the brow bone ending in a jacket. 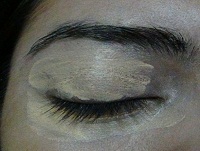 Cover 2/3 lid with silver shadow from the inner corner of nose side including eye junction up to middle of the eye lid. Highlight the brow bone with the same. Take the light blue or neon blue and cover the rest 1/3 of the eye lid from the exterior. Apply the same below lower rim also. 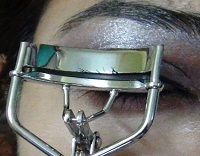 With white or silver liner pencil line the rim of the lower lid. Gently apply the brown or black pencil liner below the below the white lining of the lower rim. With liquid purple liner, in a thin fashion line the top lash line. Use false lashes if you want to. Apply a heavy coat of mascara. Curl up the lashes. Do try out our versions of makeup for fair skin blue eyes! And let us know what you think!